The Mayo Clinic notes that range-of-motion exercises are a great way to increase your ability to move your joints and can be done daily. Examples of range-of-motion exercises include shoulder rotations and head tilts. Remember to move slowly and don't force a movement if it feels painful. While there are ways to make jogging more joint-friendly, opt instead for other aerobic workouts such as swimming, biking or spending time on the elliptical machine. These exercises provide great cardio without putting much strain on your joints. 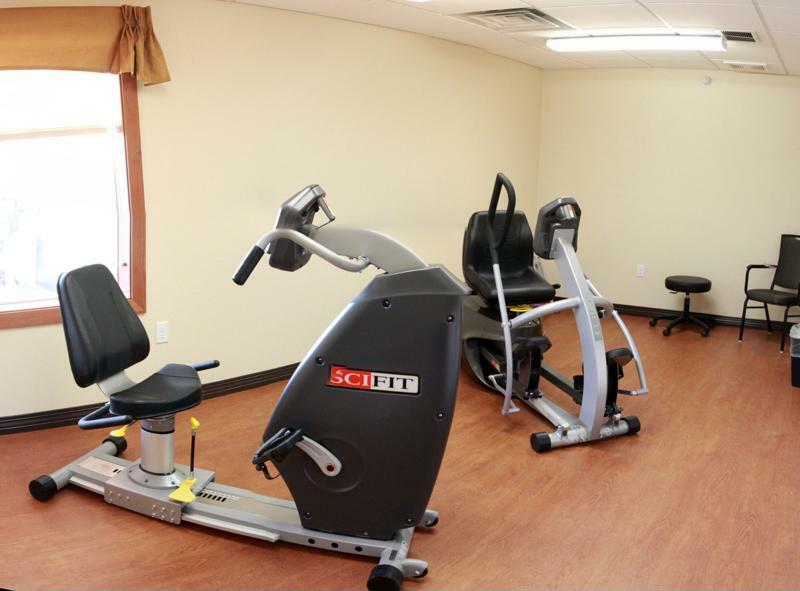 Fitness room at Edgewood community. Dancing is a fun way to exercise for people of all ages. While you may not be able to dip your partner doing a tango- you can still get out on the floor and shake a leg to stay in shape. For those with arthritis, the Centers for Disease Control and Prevention recommend modifying activity as needed. The source notes you can do this by decreasing the number of days per week you partake in an activity, reducing the amount of time you spend on an activity or changing up the type of activity. When it comes to your golf game, this may mean carrying fewer clubs in your bag to lighten the load and altering your swing so that it takes less of a toll on your joints. Make sure to warm up before you get out on the course. To get some extra exercise, walk the course rather than taking a golf cart. Strength training is important because it builds up the muscles that protect your joints. The Mayo Clinic recommends only doing these exercises, such as weight lifting, every other day, and taking an extra day off if your joints are in pain or swollen. Again, make sure to warm up so you don't pull or tear a muscle when you begin your workout regimen.